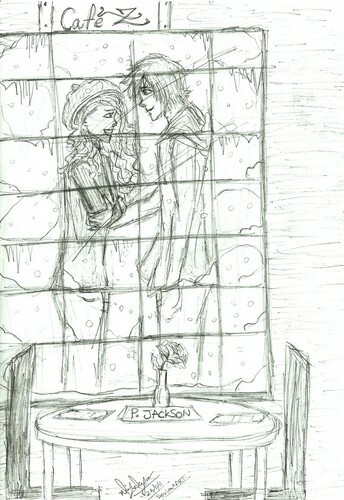 Percabeth - made door me. I love them!. HD Wallpaper and background images in the Percy Jackson & The Olympians boeken club tagged: percy jackson percy annabeth chase ♥ random percabeth. This Percy Jackson & The Olympians boeken fan art might contain teken, poster, tekst, bord, schoolbord, krant, tijdschrift, tabloid, vod, papier, and rag.